When YouTube was founded, only eight million videos were being watched daily. But, did you know that now one billion hours of video are watched on YouTube every day? Not only is our world going digital, but now videos have taken over the Internet and make up most of the content that we publish online. In fact, it’s expected that video content will make up 80 percent of online traffic by the end of 2018. And, we're not watching videos solely for entertainment purposes; videos are influencing our purchase decisions, how we get our information and how businesses decide to advertise to us. What does this mean for your business? Today, we’re going to look at the ways that video content has changed consumer behavior and how your business can adjust your video marketing plan to continue reaching your customers. Let’s face it: people aren’t watching cable TV as much anymore. Today, people are switching over to digital, online videos and streaming services because they're more accessible, convenient and cheaper to view than paying for a cable subscription. Last year, 59 percent of American homes had a subscription to a streaming video service, which was 20 percent higher than the 38 percent of homes in 2014. And, if that's not enough, social networks like Facebook and e-commerce giants like Amazon have their own streaming video services. How has this changed the way that brands and businesses advertise to their customers? Some advertisers are still placing their budget in TV commercials, but they've begun to advertise through online video ads now more than ever. For example, about half of them are starting to put their budget into digital videos instead because studies show that online video ads get 18.3 times more attention than TV commercials. Whatever your customers' reasons may be, videos are important to their shopping experience. For example, they'll watch how-to-videos on YouTube before they buy certain products, or they'll watch cooking videos to get inspiration at the grocery store. Here's something else to consider: when you think about a popular brand, does an online video (or even TV) advertisement immediately come to mind? If your customer enjoys your video ad, their association with your brand will increase by 139 percent. And, their purchase intent will also increase by 97 percent. Make sure you know what your customers will enjoy watching and get creative! Which do you believe has a greater reach with customers: prime-time television or YouTube videos on mobile? You would think that TV has a greater reach, but it's actually the opposite; YouTube videos on mobile are much more effective at reaching customers than TV, even during those prime-time hours. 1. The first reason to optimize your video marketing for mobile is because by the end of 2018, it's expected that we'll have browsed 25 percent more videos on mobile devices while our video consumption on desktop and laptop computers will have declined. 2. The second reason to optimize your video marketing for mobile is because consumers often watch videos of products they're considering to purchase in-store on their phone while they're on-the-go. 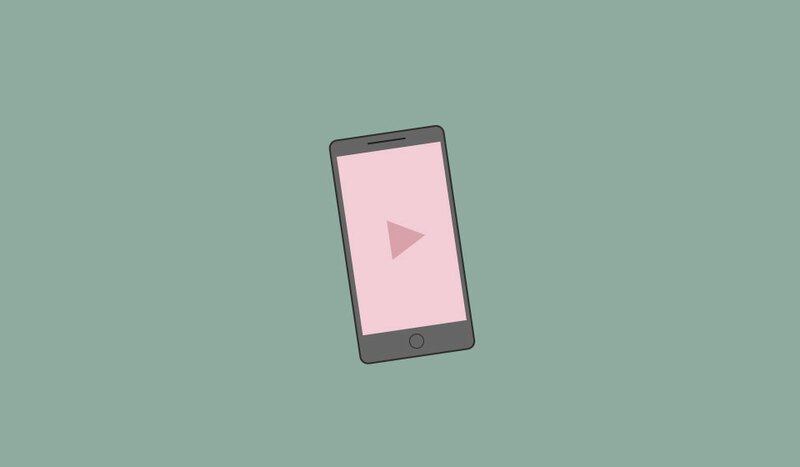 And, 92 percent of people who view videos on mobile share these videos with others, so if you create an attention-grabbing, funny or informative video, it's likely that your customers will share your video if they're browsing on mobile. Don't get me wrong; people are still reading blogs and written posts on social media can still be engaging with your customers. But, your customers need some visual content to accompany your social posts, and videos are the king of visual content on social media. Just one minute of video can be worth up to almost two million words to your audience. And, 80 percent of people would much rather watch a live video on platforms such as Facebook or Instagram than read a blog. If you want to start connecting more with your customers through social media, you must develop a video marketing strategy for your social media platforms. What are some ways to start? 1. Create short, attention-grabbing videos on Facebook. Aim for about 8 seconds or less for Millennials and Generation Z, and don't worry about having sound because 85 percent of Facebook videos are watched without sound. 2. Use ephemeral content to your benefit. If you have an Instagram account, start using Instagram Stories to share pictures of your inventory, post time-sensitive discounts or give your customers a behind-the-scenes look at your business. 3. Create a YouTube channel and upload high-quality, informative videos. And, don't forget: make your videos short and to-the-point. You should aim for your YouTube videos to be between 30 seconds to one minute at the most. As you move further from traditional marketing methods and develop a digital marketing plan for your business, you must be proficient with your video marketing to complement your digital marketing strategy. Video content is and will continue to be too popular with your customers to ignore. So, start planning your video marketing efforts today, and remember to think about your business's long-term goals while creating video content. This is part four of our consumer behavior blog series and we have more subjects ahead. Check out the other parts below, and stay tuned for our next topic! (Part Two) How Do Positive & Negative Reviews Help (& Hurt) Your Sales? (Part One) How Are Customers Searching for Your Business? Social Media Will Video on Social Media Replace Television?